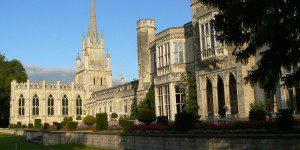 With a lengthy history that dates back to the thirteenth century, Ashridge has always been an intellectual hub. It began as a monastic order called the College of Bonhommes, and over the intervening centuries shed its religious aspect, operated as a hospital, and finally became a finishing school for ladies in the middle of the twentieth century. The Ashridge Management College, as it was then known, was founded in 1959, and since then has been consistently ranked as one of the top business education programs in the world, offering a one-year full-time MBA as well as an Executive MBA, and several other graduate degree options. The school is accredited by the AACSB, EQUIS, and AMBA. The Ashridge House has been featured in films such as The Dirty Dozen (1967). It is constituted as a regulated charity, and is one of the 150 largest UK charitable organizations ranked by national expenditure. In 2015, Ashridge forged a partnership with the Hult International Business School, creating an all-new template for its MBA and other programs and officially changing its name to Ashridge Executive Education. Located in Hertfordshire just 30 minutes outside of London, just beyond the ring of the M25, Ashridge boasts 700 acres of landscape gardens in the 5,000 acres of National Trust woodland that make up the Ashridge estate. The school, in partnership with Hult, also offers services across other portions of Europe and Asia, with additional locations in Germany, Switzerland, Sweden, the Netherlands, China, and the U.A.E. The Ashridge House, where the MBA programs are based, is one of the largest Gothic Revival Country Houses in England. Students have access to the Ashridge Library, which has an extensive collection of printed and electronic resources. Along with the main MBA classroom facilities, Ashridge has well-equipped resources dedicated to research including six research centers, each of which carries out consultancy services as well as specialist programs. These include centers for Business and Sustainability, Coaching, Leadership, Strategic Management, Research in Executive Development, and Action Research. A combination of faculty members, fellows, and associates collaborate to produce high-quality research and are supported by a dedicated office team. Along with its academic and professional facilities, Ashridge’s Lifestyle Center includes a wide range of sporting and fitness facilities including a fitness center, tennis courts, and a swimming pool. Over 200 full-time and associate faculty staff the MBA programs at Ashridge. Many faculty have international business experience, and serve regularly on the councils of international educational and advisory bodies, including the Graduate Management Admission Council (GMAC), European Foundation for Management Development (EFMD) and Association of MBAs (AMBA). Ashridge offers a Global One Year full-time MBA Program as well as a part-time Executive program. Both programs deliver a personal approach, meaning that each student’s assessment is tailored to his or her individual interests. Emphasis is placed on practical application and assessment of what is learned in the classroom over more traditional exams. Assessments can include in-class tests, group or individual presentations and/or live case studies, individual assignments or reflective journals. The MBA project is a substantial part of the assessment for both MBA programs.